Avocado Boards are handmade serving pieces for avocados made from reclaimed avocado trees. 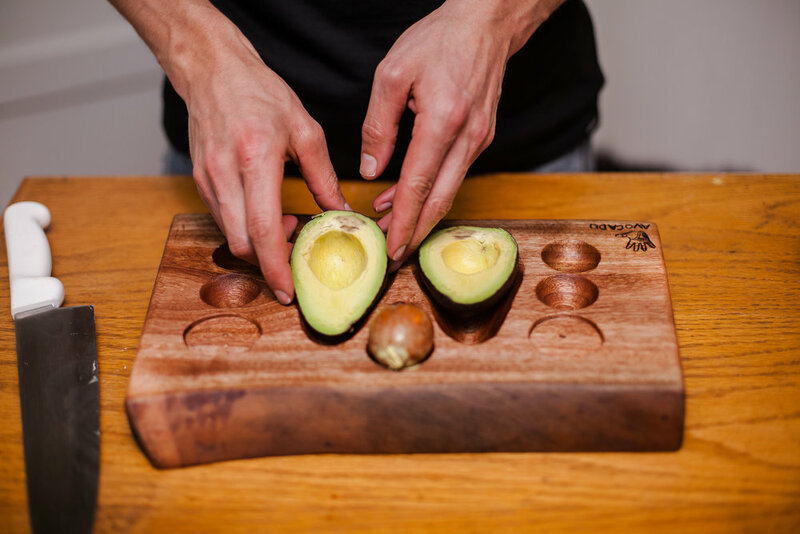 These boards hold an avocado that has been halved and removed from its skin for ease of clean-up, dressing, storage, and eating as a salad - without it rolling around all over the place. 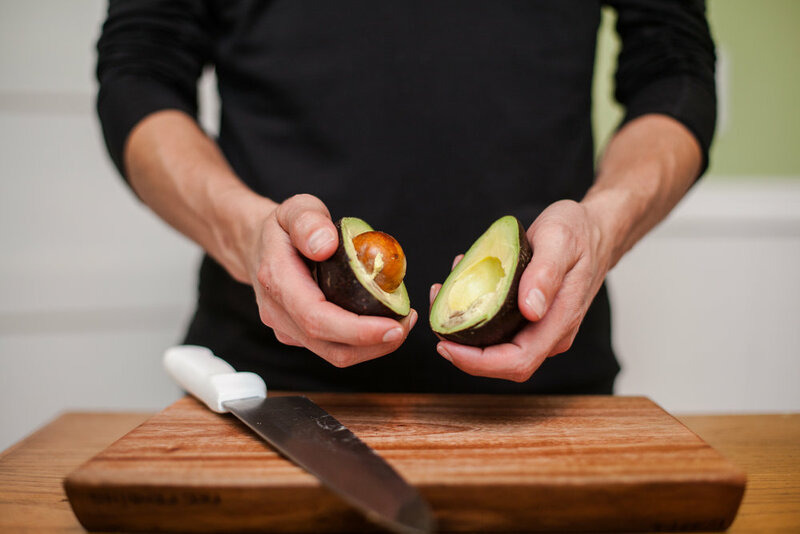 Created with food retail and restaurants in mind, the Avocado Board has several carved-out semispheres for the ingredients to a deconstructed salad dressing of one's own creation. Finished with FDA-approved, food-grade mineral oil, the boards are meant to be treated like a good quality cutting board or surface: washed by hand with warm soap and water. The Avocado Board was sold at the California Avocado Festival in 2015 and 2016 in Carpinteria, CA. Santa Barbara News-Press interviewed me and shared a bit about the boards on their front page feature on the festival. Presented to the Men's Garden Club of Santa Barbara (it's not just men anymore!) about the Avocado Board. Presenter at the 2016 Makers Fair @ PPL in Portland, ME. Amanda educating and selling at the 2016 Avocado Festival. At an organic avocado farm in Guatemala (2016) with Marco and Jesse!